Keeping attendance and using checklists with Google tools hasn’t been very comfortable so far. If you Google you will still find exclusively links to using a Google Form. However this method is a bit cumbersome plus it requires an active internet connection. For the past two or three years I have used Google Keep Notes with checklists for my classes. Keep Notes works well, however it requires you to make a copy each time you start a new list. This makes it useless when you want to automatically count the number of checkmarks, like when tracking attendance. Google Sheets introduced checkboxes in 2018 plus it allows you to do mathematical operations on them. This makes keeping attendance a breeze. Just insert tick boxes where you need them. If you use the checkboxes for attendance you actually might want to tick it off (value true) and drag it wherever you might night them. When a student misses a class, you just uncheck them. The value “False” stands for unchecked boxes and the formula therefore counts all the instances a student missed the class. And that’s all there is to it. If you don’t want to create the sheet yourself, you can copy this template. If you need more instances of the sheet (e.g. per month/term/year) you can make a duplicate within your spreadsheet. Turning a multiple choice quiz like this one into an online quiz only takes a few minutes. Teachers use multiple choice quizzes frequently, be it using the textbook, photocopies or pdf files. All of these quizzes have one drawback - even though these quizzes are comparatively quick to mark, they still require a lot of time to mark and/or discuss in class and they provide little information in terms of learning analytics, unless one is willing to type the results into a spreadsheet. With Google Forms you can easily turn a multiple choice quiz from the textbook, like the one pictures above into an interactive quiz which the students fill in using their tablets or smartphones. The process only takes a few minutes and the advantage is that both teacher and students are provided with (optionally instant) feedback and learning analytics. Give your quiz a title and make the first question the student’s name if you want to know individual results. Then you will only need one more question - a multiple choice grid in which you type (or copy and paste) the number of questions and the options (usually A B C D). Click on the “Answer Key” to tell Google Forms which answers are the correct ones. And that is basically all you have to do. If you want you can fine-tune the settings of the quiz, e.g. if the students should get their feedback immediately or if you want to release the score later on (requires an email address). The final step is to share the quiz with your students using the URL. Personally I prefer the cleaner shortened URL, but that is optional. You can share the link via whatever you use to share materials, including email, Moodle, Google Classroom, whatsapp. Creating online quizzes is usually a time consuming tasks. I sometimes do create online quizzes on Kahoot, Quizizz or Quizlet, but many teachers would rather not create their own quizzes, when there are plenty of materials available in the first place (in the textbook, shared with other teachers, from the web, etc.). Google Forms provides a super quick way of turning those multiple choice quizzes into an interactive quiz with learning analytics within five minutes. Of course you also have the option of typing out the questions in the multiple choice grid question type, but then it would already take you at least twice as long to create the quiz. Of course it wouldn't make sense to turn all the multiple choice quizzes in a textbook into online quizzes. However, occasionally teachers might want to have some kind of feedback on their students’ competence or give them tasks for self-paced learning. Google Forms allow you to do that in a couple of minutes. From the students’ point of view it might seem slightly inconvenient and redundant to fill in the quiz first on paper and then online. However, the additional work shouldn’t take more than a minute and is more user friendly than a key to check in case of self-paced work. I don’t usually write about hardware as my main interests lie in digital learning and trying out new activities with digital devices. The issue of the ideal device in classrooms is still hotly debated. Less so in the United States where approximately 60% of all classroom devices are chromebooks, but much more so in Europe where chromebooks are virtually unknown. The truth is, that every type of device has its trade-offs. I personally find iPads way too limited, Surface devices too expensive and cheaper Windows devices too underpowered. With the addition of Android apps (as well as Linux apps in the near future), Chromebooks are much less limited than they used to be and can be bought for as little as $249, e.g. for one of my favourite classroom devices, the Asus C101, which is truly fantastic value for money. One of the problems with chromebooks in Europe is, that there aren’t many models available. So when Acer came out with the Chromebook Tab 10, I decided to buy it, despite having doubts about the usefulness of tablets in the classroom. Specs-wise the Chromebook Tab 10 is in the same league as the Asus C101, with the same OP1 processor and 4GB of memory. It doesn’t come with a keyboard and is therefore much lighter than the C101. It does come with a better screen resolution and a stylus and is a bit higher priced. My first impression of the Chromebook Tab 10 was not overly positive: it often lagged and sometimes even crashed. So I uninstalled most of my Chrome extensions (which were synched from my other Chrome OS devices) and put the device into beta channel. That made it much more fun to use. Not having used a stylus a lot, that was one of my first interests. The stylus, while not as perfect as the the ones for the Surface or the iPad, is included in the price, is very easy to use, does a reasonably good job, fits nicely into the device and doesn’t need charging. The Tab 10 comes with inbuilt Google Keep note-taking functionality, which isn’t bad, but could use some more features. I tried several Android apps and my favourites turned out to be Xodo for PDF markup and Adobe Photoshop Sketch for drawing. While perhaps not the first choice for artists, the tablet works great for students who have to fill in worksheets and teachers who want to grade homework by hand. My biggest concern, however, was typing. Even though external keyboards might be a bit inconvenient to use, you can connect any USB or bluetooth keyboard you prefer using. You might need a USB-C adaptor for that. I bought a cheap dongle that provides three ports: USB-C (for charging, connecting other devices), USB-A (e.g. for flash drives) and an HDMI port (for connecting to a TV or external monitor). My takeaway: while not the fastest tablet and in a way still unfinished (Google is working to improve the tablet experience of Chrome OS by the end of the year), it is a great tablet for reading (the stylus is useful for highlighting passages), note-taking, drawing, working with PDF files. 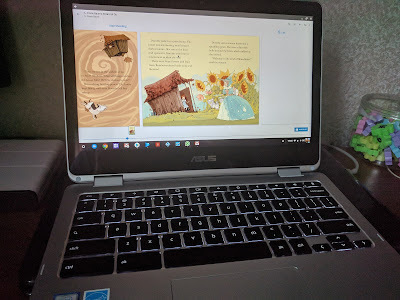 When connected to a USB keyboard/mouse the Chromebook Tab 10 works like a full-fledged chromebook and when connected to an external monitor like a chromebox, which make it ideal writing homework, preparing presentations, etc. It even doubles as a smart-TV when connected to a TV. Teachers can use the device for grading homework by hand in the staffroom and as as primary display device in the classroom. It connects to projectors via HDMI cable or wirelessly via Chromecast (a cheap chromecast dongle might be necessary if the protocol is not supported by the projector). The stylus comes in handy as it does not only have markup tools, but also a laser pointer function which can be used in any app or any website. Currently is a bit hard to recommend the Tab 10 for use in schools though, as it does have a distinct beta feeling to it. It is, however definitely a device worth keeping an eye on. I have been an avid user of Kahoot in the classroom basically ever since this innovative tool has started. However, Kahoot does have its limitations. I have always considered it a tool for motivation rather than learning and despite its innovative character it hasn’t really evolved much ever since. So, what does Quizizz offer that Kahoot doesn’t? First of all it is very similar to Kahoot with the difference that Quizizz is played individually rather than together and each student works at his or her own pace as both the questions and options are displayed on the students’ devices. You can still play in teams, of course. Students only need to share a device to do so. Apart from individually paces quizzes Quizizz offers a variety of other useful features. To begin with Quizizz has a new feature that allows you to import questions via a csv template. I simply create the quizzes in a Google Spreadsheet, which I then download and import as a csv file. This allows me to create quizzes very fast and moreover to import questions from various sources, such as documents and Quizlet. I don’t like online quiz editing much and over the years I have used Kahoot I have really only created a handful of quizzes myself. Of course there are obvious limitations to a multiple choice tool, but with these features Quizizz has such a high level of Classroom integration, you can’t even get with Google Forms quizzes. I personally hope that Google will do something similar with Google Forms in the future. In most other cases the ease of creating a quiz via import and seeing my students’ progress will most likely draw me towards Quizizz and I hope to see many more online tools integrated into Google Classroom in this way in the near future. Until a year ago or so I used two devices in the classroom: a classroom PC (connected to a projector) and a tablet (connected to the projector via a Chromecast dongle). I used the PC for mostly for writing (substituting the chalkboard), visuals, videos, etc. and the tablet mostly for casting Google Slide presentations, showing photos and demoing the use of educational apps like Quizlet. During the past school year I have made a transition to using my Chromebooks (Asus Flip and Asus C302) only even where I used to use a tablet. The switch took some time and trials as initially Chromebooks be had some drawbacks over tablets. You had to install a special plug-in to be able to chromecast and even then it often didn’t work well. Another drawback was that initially Android apps didn’t feel very native to chromebooks, often crashed or some didn’t work at all. Both Chromebooks I use have their advantages and disadvantages: the Chromebook Flip (C100PA) is smaller (even though not lighter) and feels at 10 inches very much like a tablet and is cheaper (under $250), but also considerably slower. The Chromebook C302 costs twice as much, is 12.5 inches and feels high end (great backlit keyboard, good speakers, great build quality) and is very fast. The Asus C302 is currently considered the best chromebook of 2017 by many tech blogs, e.g. techradar. The best thing however is, that there are lots of similar devices coming out which are especially geared towards education (low price, rugged build). It might be a bit late for the coming school year, but for the next school year Chromebooks might the best choice for those schools that use tablets. Anatomy app Anatronica on a Chromebook Asus C302 works flawlessly. A long time ago, at the dawn of the mobile revolution I believed that (laptop-tablet) hybrids were the future of education. After having worked with one of the first available devices, the Asus Transformer Prime, I was convinced that it would take many years before that future would arrive. Not that the Prime was a bad device, on the contrary it was a very advanced one at that time - but it was a tablet and only useful as a substitute for a laptop in a very limited way. Microsoft Surface RT: that one was a complete failure to begin with (Microsoft gave them away to teachers for a very low price because they could sell it, doing probably more harm than good for its reputation by doing so). Microsoft Surface 3: even though very versatile, I use it neither as a tablet nor as a laptop as it provides inferior user experience for both uses. On paper the newer Surface models look very good. In practice I would say they can’t beat the experience (speed, battery life, ease of use) of much cheaper Chromebooks. My initial expectations were therefore not too high when Google announced Android apps on Chromebooks. And even though the first reviews were quite ravishing, I’m still a bit underwhelmed after receiving the Playstore on my Asus Chromebook Flip. With many tablet apps (e.g. 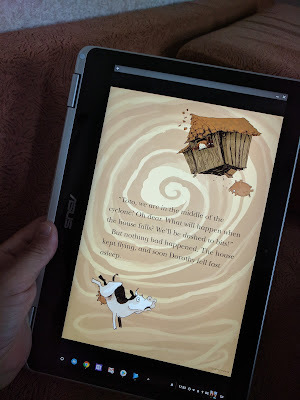 ebooks) the experience is much worse on the Chromebook than on a tablet (resolution, clunkier device and touch issues). It’s now possible to do a lot more with a chromebook, including audio recording, drawing and playing virtual instruments. Tons of educational apps are available and you don’t have to pay for them again if you have already purchased them for your smartphone or tablet. Google seems to be really working hard on making the experience a good one. In the past week I have not only got the Playstore on my chromebook but also two more updates that have brought some improvements, such as clearly marking which apps are Chrome or web apps and which apps are Android apps. Takeway: even though I’m happy about the addition of Android apps to Chromebook, I don’t think I will be using a lot of them in the near future, as the experience is often much better on a tablet or smartphone. Having said that I am excited about the additional potential of Chromebooks for classroom use. Personally I prefer a Chromebook Flip over a Microsoft Surface in the classroom. The chromebook costs less than half the price of a Surface and feels way more productive to me. I have never felt the need to install many applications on my chromebook in the first place as I work primarily in my browser and there is definitely no need to install apps like YouTube or Quizlet. However the addition of Android apps on Chromebooks should make the choice for schools easier: chromebooks, tablet or more expensive Windows hybrids. I suppose with literally thousands of educationals apps (way more than there are available for Windows) the choice shouldn’t be too hard. And even though the number of apps really need might turn out to be very low effectively, their availability will hopefully remove the psychological barrier that keep many schools from choosing chromebooks in the first place. As Microsoft has also been putting a lot of effort into its hybrid models it will be interesting to see what the future brings. 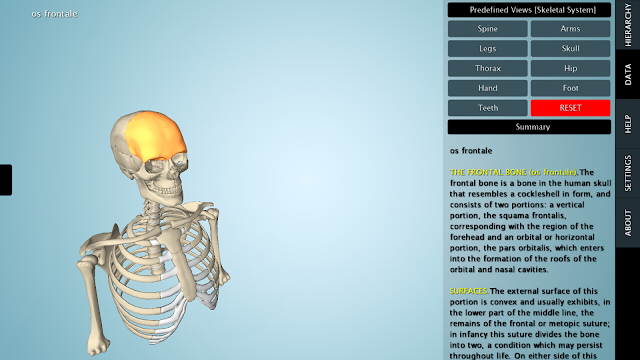 Microsoft has had a good head start and has made real progress compared to the first Surface model. However, the arrival of Android apps on the desktop, via Chrome OS and Android desktops (e.g. remix OS, possibly also raspberry pi in the near future) might pose a serious threat to Microsoft’s ecosystem which would become obsolete for many non-business users. Upload the photosphere to Google Drive and edit with photo editing software like Pixlr. Alternatively copy to desktop and edit with Photoshop or Gimp. Number the sights you want your students to find out. Download to phone again and use the Cardboard Demo app (available from Playstore) to display you numbered photosphere. Have the students do research on the web, using Google Maps (to find the place), Google Image Search (to confirm their hunches) and Google Search (to find out more the sights). Get everyone together again and talk about the solutions and the additional information the students have found. Alternatively you can also share out a hardcopy of a Google Map for each group and the students have to mark the sights on the map. You can download the London Eye example here.